The Museum Committee of the Town of Webb Historical Association has begun collecting artifacts and information for an upcoming exhibit, “Medicine Up North”, that will be on display at the Goodsell Museum. The exhibit, which is scheduled to open on Friday, November 25, will remain on display through October 2012. The Museum Committee is currently collecting information from residents connected in any way with the local health care industry. They would also be interested in hearing stories about experiences with local doctors, dentists, nurses, pharmacies, and health care treatments. This entry was posted in admin and tagged exhibit, Goodsell Museum on October 27, 2011 by admin. 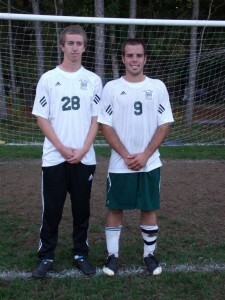 Former Town of Webb soccer players Kyle Riedman and Billy Rockhill are members of the Paul Smith’s College soccer team. Rockhill, a freshman majoring in Forestry, played midfield for the Bobcats. 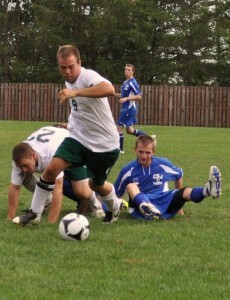 He is is one of ten freshman on the PSC roster. Due to his speed and aggressive defensive play, he adapted quickly to the college game. He was one of the first players off the bench and received playing time in almost every game. Riedman, a senior, is also majoring in Forestry. A full back and four-year starter, he is also co-captain of the team. Riedman’s aggressive play anchored a defense that had eight shut-outs this season. He also scored one goal and had one assist from his fullback position. Paul Smith’s College is a member of the Yankee Small College Conference (YSCC) which is part of the United States Collegiate Athletic Association (USCAA). The Yankee Conference has two divisions and has a total of 15 members representing the states of New York, Vermont, New Hampshire and Maine. This entry was posted in admin and tagged alumni, paul smith's college, Webb School on October 27, 2011 by admin. Many years ago we lived in a big old house at the edge of a small country village. It supposedly was one of the first in the village, a stately old federal style that lent itself to visions of the past. From the records we researched from handwritten deeds in the County Offices, the house was built sometime in the late 1800’s. Behind the house was a rather rickety old three-stall barn, which had been the livery stable for the big hotel that stood on Main Street. 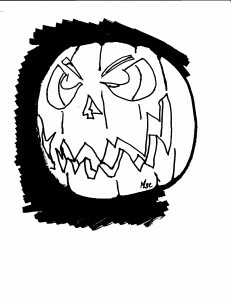 This entry was posted in admin and tagged Green, guest contributor, halloween on October 27, 2011 by admin. It was the last Saturday in October of 1978 and my sister Erin and I were carving pumpkins on the kitchen table. Erin went at her pumpkin with both hands, carefully separating the seeds from the stringy guts. I, on the other hand, was more interested in using my Swiss army knife to make a perfect scary face. The 12-function knife was a birthday present and upon receiving it I imagined a million uses for it. It included a razor, saw, spoon and fork and I invited every opportunity to pull it out of my pocket and tackle a task. I used it to eat my cereal a few mornings, and I tried to cut down a few trees with it too. 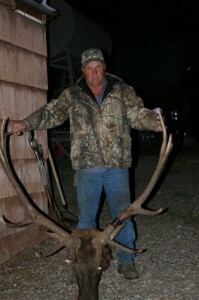 This entry was posted in admin and tagged Columnists, Growing up Adirondack, Mitch Lee on October 27, 2011 by admin. We spent last weekend in Connecticut attending the wedding of the dear friend of our daughter, who served as matron of honor. So we got to spend some quality time with our son-in-law Alex and lots of other twenty somethings. Plenty of time to chat and share my vast array of marital wisdom—like it or not. The conclusion I came to? These kids spend waaaay too much time connecting with each other via texting, tweeting, twitting and whatever the hell else they do. This entry was posted in admin and tagged Columnists, Jan from Woodgate, Mrs.Lucky on October 27, 2011 by admin. Here I sit in beautiful Carbondale, Colorado. After three days of Elk hunting there is no meat in the freezer yet. The weather has been great. Though the temperatures have been in the 60’s during the day it’s been cold enough at night to put ice on the beaver ponds in Cattle Creek. Once again we are staying at Bob and Betsy Schenck’s cozy cabin overlooking snow-covered Sopris Mountain. Their home cooking is the best and enjoyed before and after a long day of hunting. My hunting companions, Art Gallo of Boonville and his son-in-law Bob Bernesby of Long Island, and myself have covered several miles in both Cattle Creek and the Fender Ranch. We’ve all seen game but have not taken any shots yet. The first morning in Fenders I went on watch at daybreak. I just got to the spot and saw spikes from a bull Elk sticking over the sage meadow. This entry was posted in admin and tagged Columnists, Daybreak to Twilight, Gary Lee on October 27, 2011 by admin. The trees are almost completely bare and Halloween decorations have been sprouting all over, which can only mean one thing… the Fall sports schedule is winding down. Still, there are Sectional outings for two of the three Varsity teams and, while the girls soccer squad didn’t quite make the playoffs, they did close their season with a bang. That said, let’s see what’s happened since we last visited. A huge contingent of schools was on hand for the Center State Conference Championships held on Saturday, October 22 at Ilion. This entry was posted in admin and tagged Chuck Walley, Columnists, Outside the Box on October 27, 2011 by Chuck Walley.